Henry and his friends from The Neighborhood are celebrating the occasion of his fourth birthday. 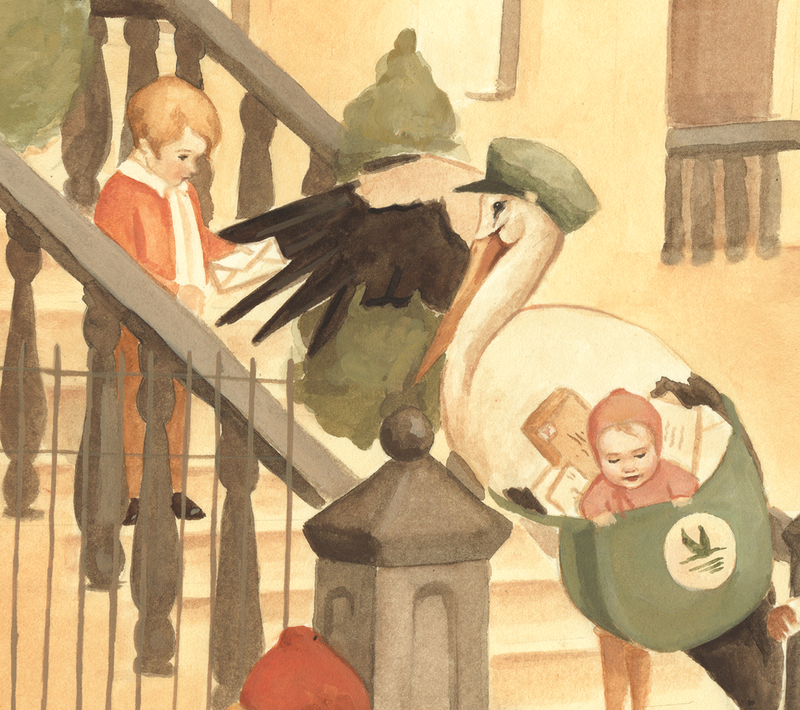 The little boy in front of the stork in my previous painting is turning four and he is throwing a party. 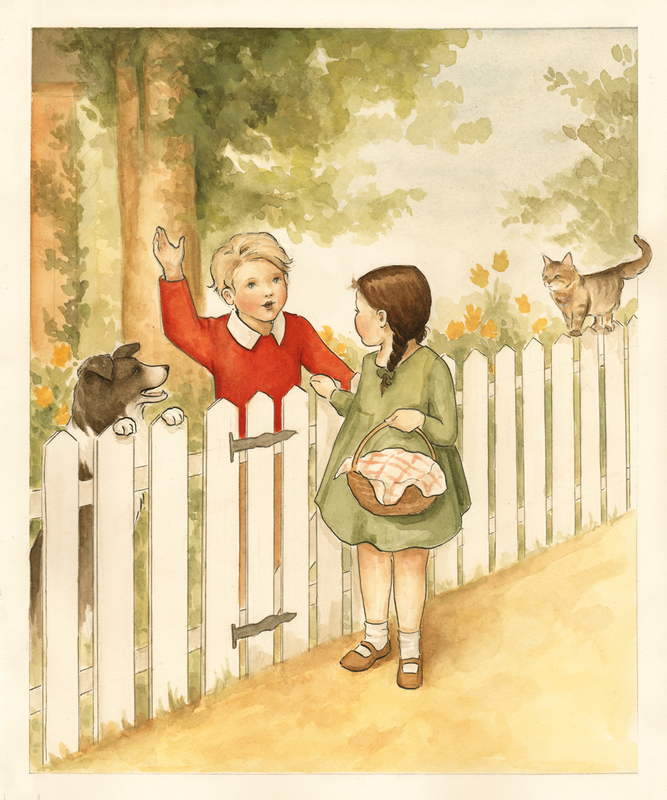 He has invited the children who appeared on the street as well as one or two new friends. The party has a circus theme, with toy animals in miniature party hats. They are singing Happy Birthday and blowing out candles on a cake. (Noise makers are being put to good use as well!) Even the dog has gotten in on the fun! Part 2 of my work in progress: This painting has been a labor of love and a good experience for me. It is quite a large painting by my standards, measuring 20"x16". This photo is from a few days ago, since then my happy little New York City scene has come together quite well. The finished illustration is coming your way in a day or two. Until then, happy playing! 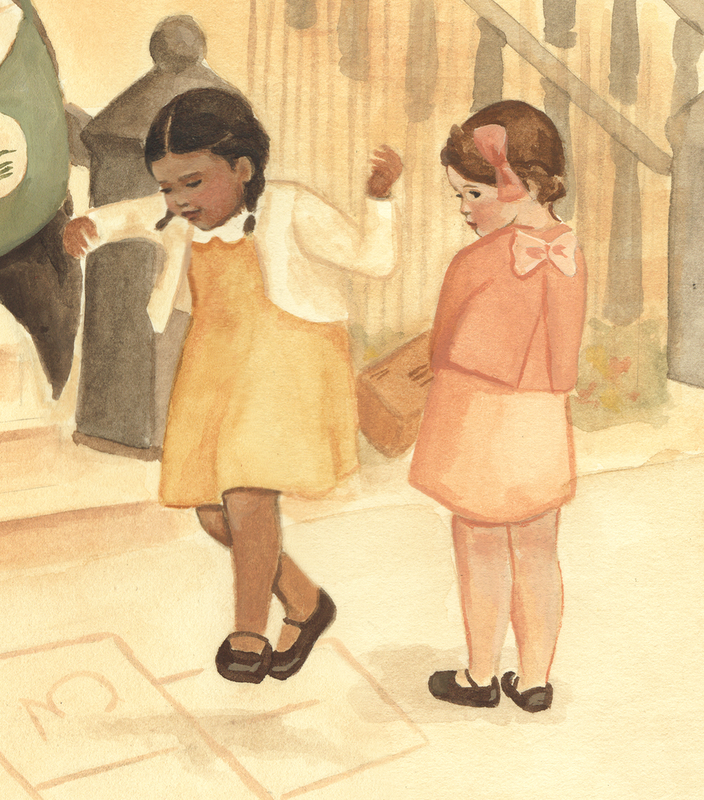 All week I have been illustrating a happy scene from a street in Brooklyn. Here's an earlier sneak peek of the work in progress.